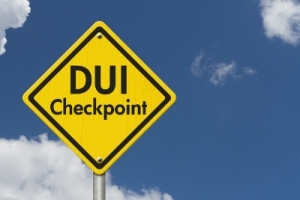 DUI checkpoints are completely legal but many people don’t understand the fact that they have certain rights when being stopped at an Arizona DUI checkpoint. 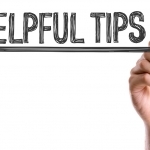 If you’re about to undergo such a police inspection, you may want to rely on the tips and suggestions in this article for the purpose of protecting your rights without incriminating yourself in any way. According to the US Supreme Court, the DUI checkpoints are constitutional. These checkpoints allow police officers to make a lawful stop even in the absence of reasonable suspicion. Such stops are permissible because of the grave dangers stemming from DUIs. A DUI checkpoint examination isn’t the same as a routine stop carried out by traffic police. 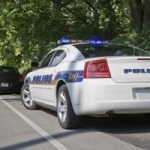 When performing a routine stop, police officers need to have reasonable suspicion that a violation has occurred. There’s no such requirement for DUI checkpoint stops. When getting stopped at such a checkpoint, drivers will typically be asked to produce their documents and they’ll be asked a number of questions by the police officers. A request for one’s driver’s license and ID is lawful. In addition, you have to answer questions that you’re being asked. If an officer asks a driver to step out of the vehicle, the automobile operator will have to comply. One thing you have to keep in mind, however, is that you’re not obliged to provide police officers with extensive information. You are not obliged by law to reveal information about where you have been or where you are going, even if a police officer asks such a question. Regardless of the circumstances, you have the right to remain silent. Otherwise, you could be incriminating yourself with information that there’s whatsoever no legal necessity to provide. Be polite and attempt to cooperate with police officers at a DUI checkpoint. A failure to comply with any of the instructions could potentially result in charges against the vehicle operator. Finally, a police officer may want to carry out a vehicle search after stopping you. You are not obliged to consent to such a search. In case you’re asked to step out of the vehicle and a search does take place, cooperating with the police officer will be in your best interest. Apart from having the right to question you, Arizona police officers may also want to perform a breathalyzer test to establish your blood alcohol content (BAC). You are not legally obliged to perform such a test. If you refuse, however, you may be violating certain laws. There will be legal repercussions, including the possibility of having your driving license suspended for a certain period of time. A sobriety test will be demanded whenever police officers suspect you may be driving under the influence of alcohol or illegal drugs. A field sobriety test will provide some evidence of intoxication and eventually provide law enforcement professionals with a reason to detain you. 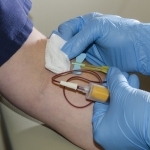 Breath, blood and urine tests can all be used to establish the BAC of a driver. 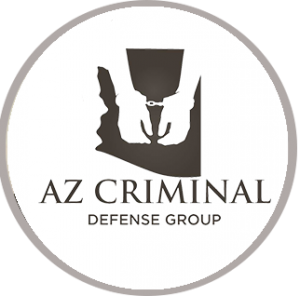 By operating a vehicle on the territory of Arizona, you automatically consent to such a chemical test. If law enforcement professionals find out that you’ve been consuming alcohol or illegal substances before getting in the car, you will be charged with driving under the influence. In case you are getting detained, you have the right to call your lawyer. Don’t panic and remain calm. Evidence can be challenged, if you believe that the DUI charge is unjustified. 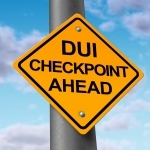 Remember that you are not obliged to do a field sobriety test at an Arizona DUI checkpoint. After you refuse, you will probably be detained. Still, your refusal will limit the evidence that the police force has collected against you. This way, you will be giving your attorney something to work with towards minimizing the penalty or getting the charges dismissed altogether.